The way that cat food is stored can greatly impact the freshness and taste of the food. If food is not stored properly it can also cause the development of bacteria, infestations, and in some instances the food may spoil. In order to store dry cat food properly, you should keep the food in a cool and dry place and in a sealed container. 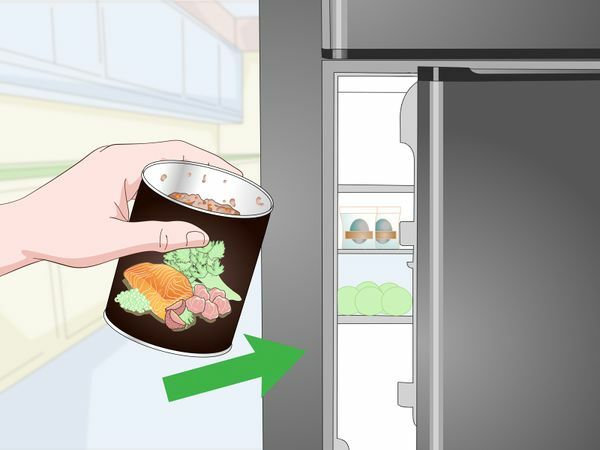 For canned cat food, it should be kept refrigerated in a sealed container after opening and be discarded after a few days if not consumed. 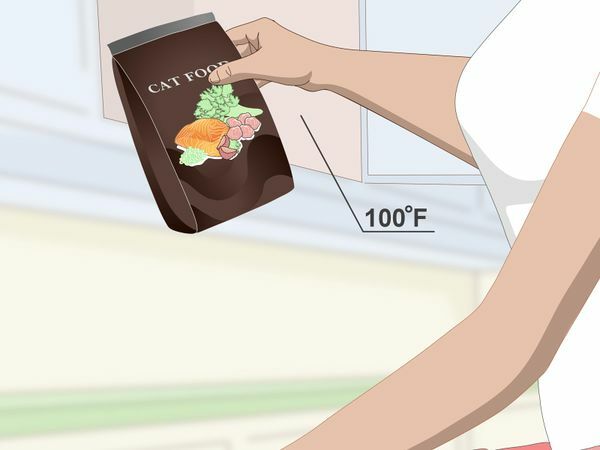 Dry cat food should be stored in a cool and dry environment that does not exceed 100 degrees Fahrenheit (38 degrees Celsius). If the food is stored in a warm place, it could lead to the destruction of vitamins in the food and cause the food to go rancid. Do not store cat food in a garage because you can not control the environment. Depending on where you live the food may be exposed to heat and moisture in a garage. Good places to store food include a food pantry or a laundry room. Cat food will retain the flavor the best if it is stored in the original bag. This is because the bag has a fat barrier that helps to keep the flavor locked in. Plastic bags and containers have an odor that can impact the taste of the food. 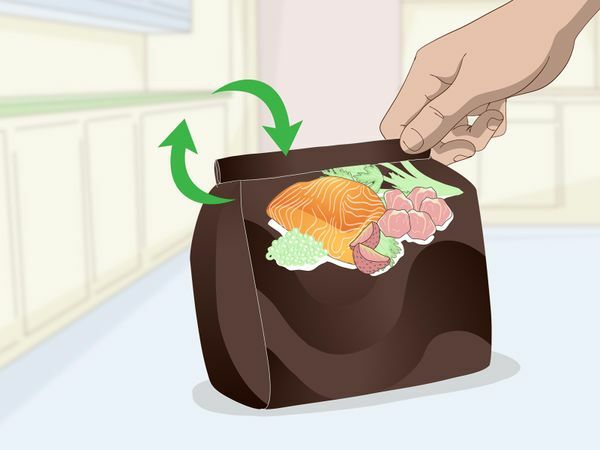 Always fold over the top of the bag once it has been opened to seal the food inside. Use a wide chip clip to secure and seal the bag tightly. The original bag also contains important information about the food, including the expiration date, manufacturer and brand names, UPC code, and lot number. If the food is recalled or if your cat reacts to the food, you may need to consult this information. The best storage solution, is to place the original bag into a sealed container. For example, place your dry food bag into a metal or tin bin with a lid. This will keep the food fresh and will prevent infestations from occurring. 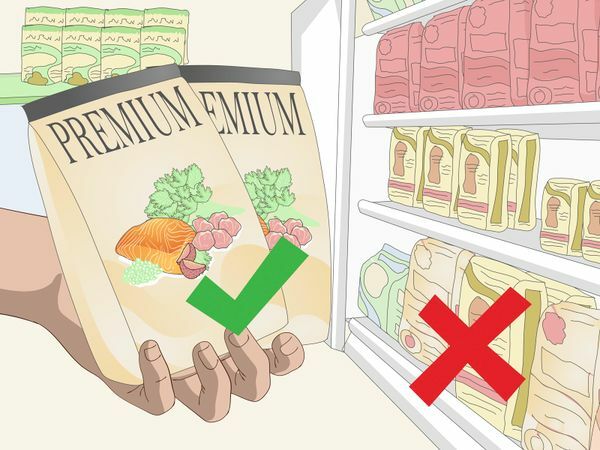 If you decide to transfer the food to a metal container without retaining the bag, you should always keep the label and tape it to the outside of the container. This way you have all of the important product information. Make sure you change the label every time you open a new bag of food. This will help to prevent infestations from insects or rodents that may be attracted to the smell of the food. Storing the food in a sealed cupboard will also prevent your cat or other pets in your home from accessing the bag of food. 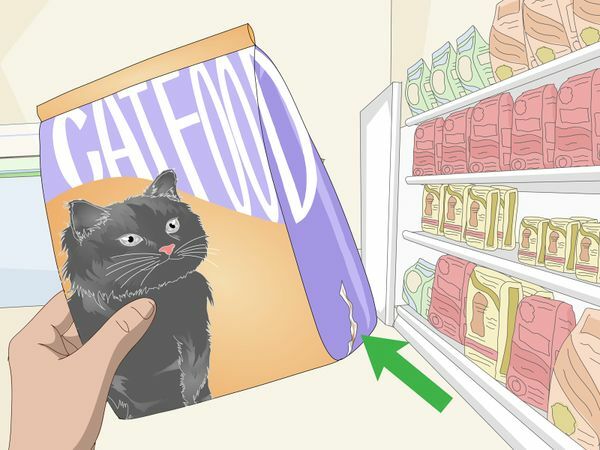 Prior to opening, you should store canned cat food in a cool and dry place. A pantry is a perfect location for storing unopened canned cat food. Wet food should not be left in your cat’s bowl for more than four hours. If you feed your cat and it does not eat all of the wet food within four hours it should be discarded. 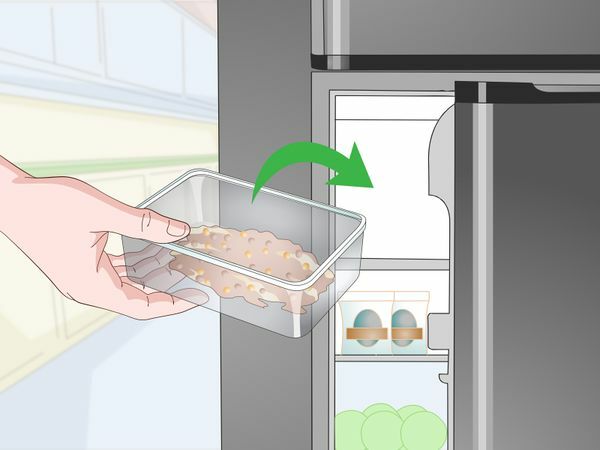 Once you have opened wet cat food, you should store any unused food in the refrigerator. The temperature of the fridge should be approximately 40 to 45 degrees Fahrenheit (4.4-7.2 degrees Celsius). 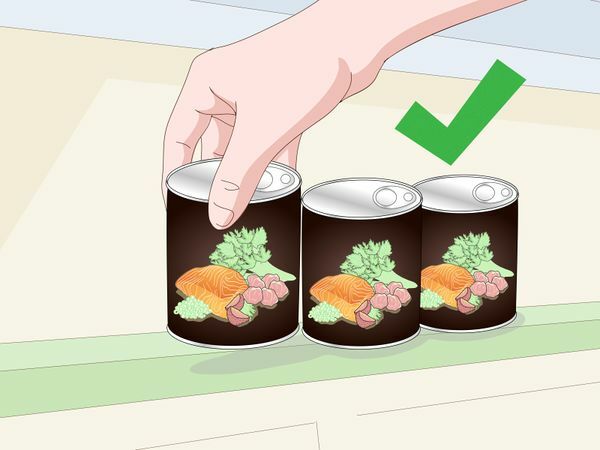 Opened cans can be kept in the fridge for 5-7 days. 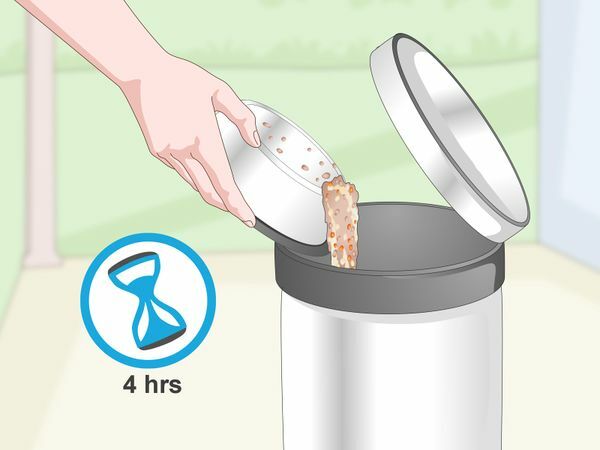 Any opened canned food that has not been consumed within seven days should be discarded. 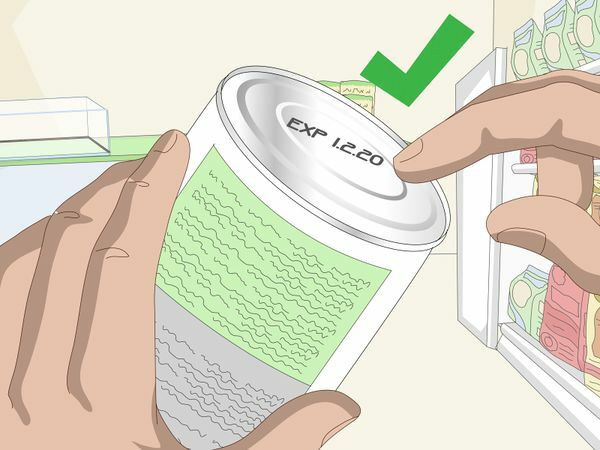 When storing opened canned food, you should transfer it into a glass container with a lid. This will help to keep the food fresh tasting. Alternatively, you can store the food in the original can, but place a plastic lid onto to the can to act as a seal. You can buy reusable cat can lids. These press over the top of most cat food cans to keep them fresh. You can buy them at pet stores and grocery stores. Some cats will not like eating cold food that has been refrigerated. As a result, you can heat the food slightly in the microwave before serving to your cat. 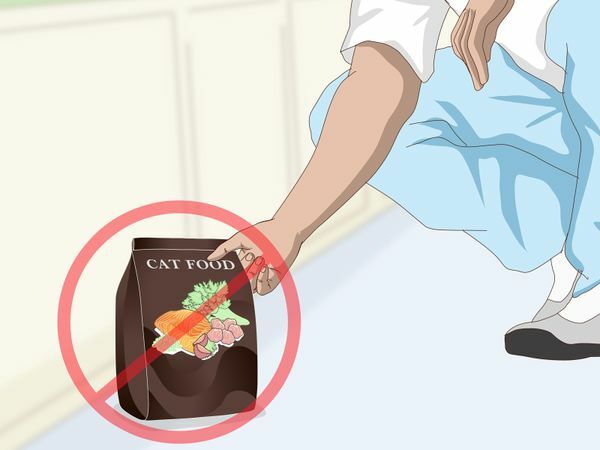 When you are purchasing food for your cat, always choose a bag or can that does not have any visible damage. For example, avoided bags that have rips, tears or discoloration, and cans that have been dented. Damage to the bag could indicate that the food has been exposed and contaminated. Both dry and wet cat food will have an expiration date stamped on the original container. When purchasing cat food, you should always read the label to make sure that the food is not expired or soon to be expired. Make sure you refer back to this date before you feed your cat and discard any food that is past the expiry date. The expiration date is usually stamped on the bottom of canned foods and can be found on the bottom or side of bagged cat food. Once you open dry cat food, it should be consumed within four to six weeks. As a result, it is a good idea to buy your cat food in small bags. 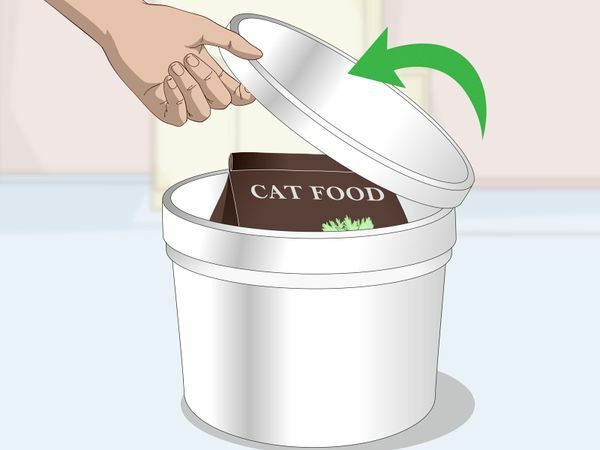 This will help to ensure that your cat is receiving fresh food. If you have multiple cats, you may want to consider a larger bag of cat food.